Ultimate Sports Insider: What is the NCAA's stance regarding freedom of speech for student athletes? 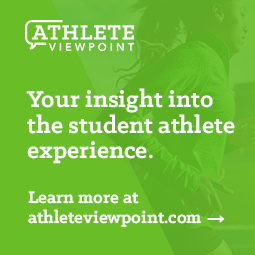 What is the NCAA's stance regarding freedom of speech for student athletes? 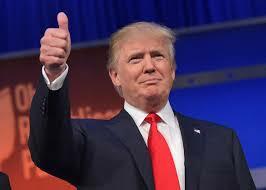 News from Iowa is that @RealDonaldTrump was "endorsed" by Iowa football and wrestling student athletes. Regardless of your political affiliation or views, it prompts the question - "What is the NCAA's stance regarding freedom of speech for student athletes?" Iowa Director of Athletics Gary Barta issued a statement saying that no NCAA rules were violated by the student-athlete attendance at the rally and the presentation of a "non-official" Iowa jersey to Trump. NCAA rules regarding the issue of endorsement can be found in this June 2014 document. The language regarding speech is pretty clear - "Advocacy of viewpoints on controversial issues of public importance (e.g., religious beliefs, political beliefs)" is labeled as impermissible for student athletes. Yet, no concern over NCAA rules was raised a couple of months ago when the Missouri football team rallied and threatened to boycott their game against Brigham Young University. In fact the opposite occurred, athletic administrators widely lauded student-athlete activism and were supportive of athletes expressing their freedom of speech. And recent NCAA governance changes have provided student athletes with a greater voice than ever in the NCAA legislative process. Regardless of your views regarding either the presidential primaries or the protests in Missouri, it appears evident that student athletes are exercising their voices, and their opinions clearly have weight. Whether coaches and administrators are truly comfortable with social and political activism, regardless of viewpoint, remains to be seen. But it raises the question, "Does the NCAA have any standing to prevent student athletes from voicing their opinions regarding a political person or social issue?" And if NCAA somehow has this ability, on what basis will decisions be made about which topics or forms of free speech are permissible and which are not?